Raindrops on Roses, a Silverthorne based landscaping business, was given an ELITE Award by the Associated Landscape Contractors of Colorado. The project, Sweet Creek, won the award for Use of Color. The Associated Landscape Contractors of Colorado awarded Silverthorne-based Raindrops on Roses an ELITE Award in the category of Use of Color. The awards, Elevating Landscape Industry through Excellence, feature companies throughout Colorado. 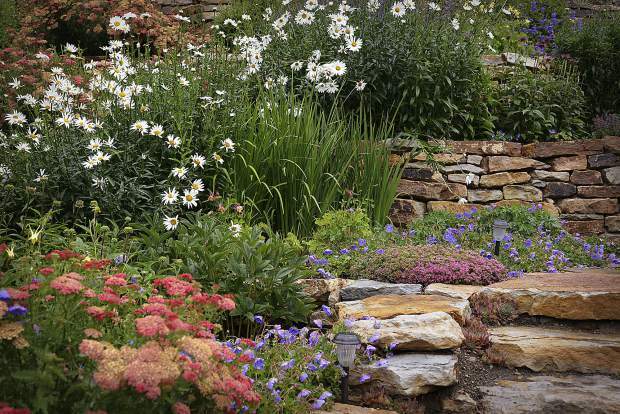 Associated Landscape Contractors of Colorado has six chapters statewide. Raindrops on Roses is in the mountain chapter, which faces the challenges of a shorter growing season, less plant selection, harsher climates and more wildlife than chapters at lower elevations. Raindrops on Roses won for its Sweet Creek project. While plant selection was crucial to the project, the business stands by the importance of educating clients on how to care for their gardens at high altitude.